Twin Lakes Apartments has a Walk Score of 59 out of 100. This location is Somewhat Walkable so some errands can be accomplished on foot. Twin Lakes Apartments features unique, open floor plans with well-appointed upgrades. 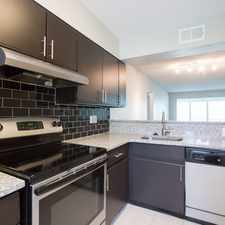 Faux wood flooring, walk-in closets, cozy fireplaces, kitchen islands, washer/dryer hook ups, and vaulted ceilings are just a handful of features available in our stunning one and two bedroom apartment homes. Our high tech fitness center offers state of the art equipment allowing you to sync your workout program with your personal technology. Our exterior amenities include a refreshing pool/spa area, full-service bbq/firepit, tennis courts, bark park with benches, car care center, and valet trash services. Twin Lakes is a tech-savvy community, offering online services starting with your initial inquiry, application process, lease signing, rental payments, and maintenance requests. Our office offers your morning coffee, lemonade, fruit, and snacks. All this and more to ensure your exceptional living experience at Twin Lakes Apartments. Explore how far you can travel by car, bus, bike and foot from Twin Lakes Apartments. Twin Lakes Apartments has some transit which means a few nearby public transportation options. Twin Lakes Apartments is in the city of Palm Harbor, FL. Palm Harbor has an average Walk Score of 29 and has 57,439 residents.